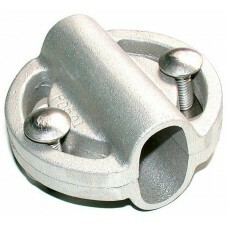 ½” Cross Clamp – Allows for ” X ” bracing of (2) – 1/2″ pipes. It is manufactured using cast aluminum so it is built to last. Using this for diagonal bracing will help stabilize your dock.